This is the third in a three-post series where I share my school reports from my first real film class, Film History. These were the first serious writings I did on film, and they offer a look back at the foundations that would eventually lead me to start writing reviews here at Silver Emulsion. I recently found them in a box while preparing to move, and I hope they are as entertaining to you as they are to me (they won’t be). These were written about twelve years ago during the Fall of the year 2000, when I was a spry nineteen years old. I will be re-creating the documents with the same formatting and images to the best of my abilities with the WordPress editor. Also, I’m leaving in any grammar errors or other things that I might want to change. It’s all about posterity and not falling into the George Lucas trap. Anyway, enjoy! Maybe. “I simply make a film as I want it to be,” Akira Kurosawa replied when asked why he shoots his films the way he does. It is this independence, this incredible cinematic vision, that has given Akira Kurosawa the nickname of The Emperor. His films not only inspire and teach but also entertain with top notch acting and visuals. Kurosawa never settled for second best and it comes through in every single one of his films, especially the three films I have chosen to focus on: Rashomon, Yojimbo, and Ran. These films were all pivotal to Kurosawa’s career, Rashomon made him famous, Yojimbo was his biggest commercial success, and Ran was the film that he felt to be his best. All of the films are set in the past, in Japanese history. As a student, Kurosawa was very interested in literature, especially Dostoevsky and Shakespeare, and the kodan, a story-telling entertainment where traditional samurai tales were told. Obviously, these interests molded themselves into the films Kurosawa made and shaped his style and vision into something the world had never seen before. This week I’ll be doing something a little different. This will be the first post in a three-post series where I share my school reports from my first real film class, Film History. These were the first serious writings I did on film, and they offer a look back at the foundations that would eventually lead me to start writing reviews here at Silver Emulsion. I recently found them in a box while preparing to move, and I hope they are as entertaining to you as they are to me (they won’t be). These were written about twelve years ago during the Fall of the year 2000, when I was a spry nineteen years old. I will be re-creating the documents with the same formatting and images to the best of my abilities with the WordPress editor. Also, I’m leaving in any grammar errors or other things that I might want to change. It’s all about posterity and not falling into the George Lucas trap. Anyway, enjoy! Maybe. Carl Dreyer once said regarding the close up shot, “The human face is a declaration on the context of the soul and in its delicate shifts, one can read the most delicate nuances of the emotion which words and gestures are incapable of expressing. The significance of cinema as a new art form resides in the ability to reproduce these shifts of facial expressions.” This statement best explains his reasons for filming The Passion of Joan of Arc in the way that he did. The Passion of Joan of Arc is one of the standout films from the silent era, elevating the closeup to new heights. It is one of my favorite films and I feel that it is the most powerful film ever made, even surpassing Battleship Potemkin. I attribute this to the deeply religious nature of the story and the revolutionary visual style contained in the film. Expectations: Moderate. It will be interesting to see how the Civil War is portrayed in a 1950s film. 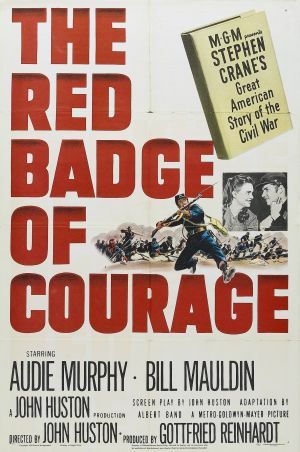 John Huston’s The Red Badge of Courage is not your typical war film. It’s more detached from the battles than standard entries into the genre, choosing to focus on the emotional makeup of one company of soldiers, and specifically the youth Henry Fleming (Audie Murphy). Murphy was a highly decorated soldier during World War II so he was no stranger to the nature of war. He plays the role of the scared, worried Army private very well, communicating the fear that any young man must face in the heat of battle. The film’s tone is very contemplative and features readings from the source novel as narration to drive the story forward and connect the viewers with the struggles of this young man. Huston chooses to shoot many dialogue scenes using low angles which might show how the character is powerful in another film, but here it shows how Fleming wrestles furiously with his feelings. In one particular scene, Fleming meets up with a wounded squad mate who inexplicably runs to the top of a hill. Fleming chases after and when he catches him, the wounded man speaks incoherently while they are both framed from a low angle. The nobility of the wounded man confronts Fleming in these low angle shots. He cannot turn away from the imminent death of the comrade he deserted, his mind filled with the crushing regret and shame of his actions. He longs for “the red badge of courage,” a wound that would prove he was the man he wanted to be. Expectations: Low. I’m hoping this will educate me a bit on what led to Washington’s Crossing. I’m currently taking a History class and a couple of the assignments are to write film reviews. I decided that I wouldn’t let these reviews just fade into the ether, instead posting them here as well as turning them in as homework. Because of this, the reviews will be slightly different than the normal type of stuff I put out, as the professor has laid out a few questions that need to be answered that I don’t generally ask myself. 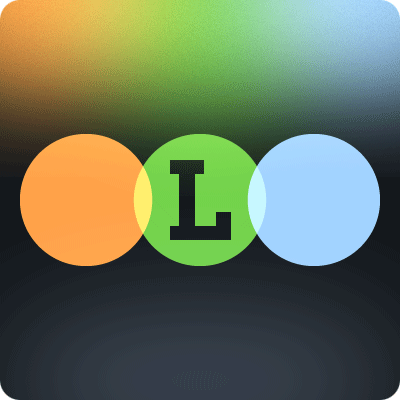 I’ve also edited this a bit to be a little more in line with this website. Anyway, enjoy… or not. Whatever. The film opens with a short narration, setting the scene for those not intensely familiar with the material. As suspected, The Crossing seeks to dramatize the events surrounding George Washington’s decision to cross the Delaware River during the American Revolution. It looks to convey the risk-taking nature of Washington and his creative way of problem solving. Crossing the river was an unexpected tactic and one that could have gone completely wrong. The opening narration is followed by a scene of a cannon getting stuck in a ditch on the side of the road. Washington commands the men to leave it and continue on without, illustrating to the viewer just how desperate the American forces were. They’re on the run from the British, slowly breaking down and losing numbers. 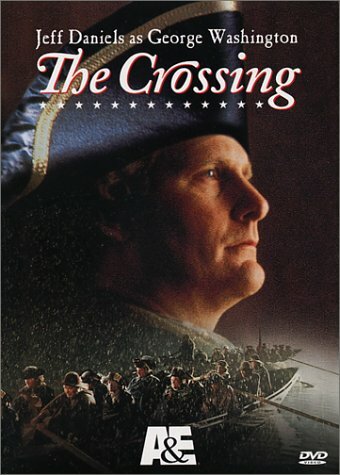 The film effectively shows how Washington chose to attack the Hessian camp in Trenton by crossing the river at night, despite all good odds. It proves the point how someone backed up against a wall, with no good options, will do their best to survive and continue fighting. The British, being the super-powered confident force, just didn’t have that kind of resolve backing them up.